Introducing a New Baseball Training Format! Combining “Old School” strength training with advanced position-specific exercises and cutting edge modern technology! I worked with Coach Bowness starting when I was in middle school and continued to work with him throughout my professional career. There are a number of reasons why I chose to work with Coach Bowness over so many years. He allowed me to participate in the instruction. I was not told how to pitch or hit. We worked on expanding my areas of strength while improving on my weaknesses. Also, Coach Bowness always took a responsible approach to development. There was never a session when we didn’t warm up and cool down, and he always managed my workload in the context of the bigger picture. Finally, Coach Bowness is always looking for ways to improve himself. He is constantly increasing his knowledge of the game and improving on what he brings to the players he instructs. He expects a certain amount of hard work and respect from his players. His players can expect the same in return. Joe Martinez 11 year professional baseball player. Over the years I’ve trained with quite a few coaches. After some time of training with Coach Bowness I can honestly say he does a tremendous job at setting himself apart from the rest. He gives you everything he has in an effort to make you the best ball player and person you can be. He is very flexible and willing to go the extra mile. Most importantly, unlike what I and many others have experienced in the past, he actually coaches! Coach Bowness will put you on the path to reach your greatest potential and that is why I feel he is truly a one of a kind. “My son has been with Coach Bones for three years now and he expects to stay with Coach for as long as he plays baseball (which will be for at least 8 more years if he has his way). Coach Bones is the best for technicals, development and baseball strategy (IQ) for all ages. He is a teacher, coach and mentor to my son. Our son has been a student of Coach Bones for about 3 years, and our son’s growth in skills, self-confidence and passion for baseball continues to impress us each season. Coach Bones has an outstanding ability to almost “see “ the invisible to accurately diagnose our son’s specific skill weakness areas (addressing the physical and or mental components); communicate and demonstrate the problem and correction in the calmest most easiest to understand words that my son can relate to; and in my son’s own words, “Coach Bones shows me really cool exercises and methods to help me improve my mechanics that I can work on at home”. Our son especially loves his lessons from Coach Bones because he can tell that Coach Bones loves baseball and really loves teaching it. He is constantly sharing with us how great of a coach he is because Coach Bones encourages our son to do his best by being tough and strict yet at the same time he is fair. Our son is so thrilled that Coach Bones can perform many different baseball skills so accurately that he is able to demonstrate many different game situations and simulations and how best to react to those situations during his lessons. We are grateful that our son has a role model who teaches not only baseball skills, but the importance of hard work ethics, discipline, and teamwork – which are all requirements for success in any area of life. In summary, Coach Bones is a Super Coach and we are looking forward to many more years of lessons and seeing our son enjoying his constantly improving skills on the field. My son Dylan always has a great time with Coach Bones. He has helped improve his batting stance, swing, bat speed and overall strength as a hitter. He also helps with the principles of hard work, always having a positive attitude, and the importance of having strong team ethics. Coach Bones is a resource I would definitely recommend. He makes it fun! Coach Bones always injects good spirited fun, and some healthy competition into every session. [op_testimonial_slider style="3" animation_type="default" animation_loop="y" slideshow_autostart="y" animation_speed="700" slideshow_speed="7000" title="What Our Customers Have to Say" subtitle="" title_color="#329bc9" background_color="#F2F9FF" columns="1"][op_testimonial_slide title="Joe Martinez" company="11 year professional baseball player." image="" button_color="#4881F5" button_text="Read story" href="" header_color="#00b7e2" background_color="" columns="1" ]I worked with Coach Bowness starting when I was in middle school and continued to work with him throughout my professional career. There are a number of reasons why I chose to work with Coach Bowness over so many years. He allowed me to participate in the instruction. I was not told how to pitch or hit. We worked on expanding my areas of strength while improving on my weaknesses. Also, Coach Bowness always took a responsible approach to development. There was never a session when we didn't warm up and cool down, and he always managed my workload in the context of the bigger picture. Finally, Coach Bowness is always looking for ways to improve himself. He is constantly increasing his knowledge of the game and improving on what he brings to the players he instructs. He expects a certain amount of hard work and respect from his players. His players can expect the same in return. [/op_testimonial_slide][op_testimonial_slide title="Tony C" company="Dad of Two Coach Bones' Ballplayers" image="" button_color="#4881F5" button_text="Read story" href="" header_color="#00b7e2" background_color="" columns="1" ]"Coach Bones has been working with my boys (Nick and Anthony) for the past few years. They both really enjoy working with Coach Bones and have learned so much about the game of baseball from him. He explains things very clearly and always keeps it fun. Here's what I love about having my boys work with Coach Bones. The first thing you should know which is extremely important to me as a parent is that Coach Bones always puts the health of your child/child's arm first (Throwing program/Pronating to protect elbow, etc). He has a unique and creative teaching style which is all geared around protecting your child. That being said, Coach Bones also has a special ability to relate and adapt to both of my boys styles and strengths. The bottom line is every player is different. They are not robots. Some are more comfortable using a different type of stance (open or closed) or a different type of throwing style. Coach Bones has done a great job working around these different styles and enhancing them. Most instructors (at least others that my boys have worked with in the past) seem to want to completely change everything and they teach the same exact things to every kid they work with no matter what. This is not what Coach Bones does!! Coach Bones listens to your kid and sees what style they are most comfortable with. Does he make some changes and adjustments? Of course he does but he adapts to your kid and tweaks and enhances their particular style. That to me is a strength and a testimony to Coach Bones and it's also something that no other instructor that my boys have worked with has ever done. My boys have played their best ball when they are working with Coach Bones!! "[/op_testimonial_slide][op_testimonial_slide title="Gerard D" company="College Ballplayer" image="" button_color="#4881F5" button_text="Read story" href="" header_color="#00b7e2" background_color="" columns="1" ]Over the years I've trained with quite a few coaches. After some time of training with Coach Bowness I can honestly say he does a tremendous job at setting himself apart from the rest. He gives you everything he has in an effort to make you the best ball player and person you can be. He is very flexible and willing to go the extra mile. Most importantly, unlike what I and many others have experienced in the past, he actually coaches! Coach Bowness will put you on the path to reach your greatest potential and that is why I feel he is truly a one of a kind. [/op_testimonial_slide][op_testimonial_slide title="Kim D" company="Mom of a Coach Bones' Ballplayer" image="" button_color="#4881F5" button_text="Read story" href="" header_color="#00b7e2" background_color="" columns="1" ]"My son has been with Coach Bones for three years now and he expects to stay with Coach for as long as he plays baseball (which will be for at least 8 more years if he has his way). My son relates to Coach Bones better than any other coach and he has already told me that if he makes his high school baseball team and can't wear his father's number, he wants to wear Coach Bones jersey number. From a player's perspective, there's no greater sign of respect for his coach. "[/op_testimonial_slide][op_testimonial_slide title="Jerilyn D" company="Mom of a Coach Bones Ballplayer" image="" button_color="#4881F5" button_text="Read story" href="" header_color="#00b7e2" background_color="" columns="1" ]Our son has been a student of Coach Bones for about 3 years, and our son’s growth in skills, self-confidence and passion for baseball continues to impress us each season. Coach Bones has an outstanding ability to almost “see “ the invisible to accurately diagnose our son’s specific skill weakness areas (addressing the physical and or mental components); communicate and demonstrate the problem and correction in the calmest most easiest to understand words that my son can relate to; and in my son’s own words, “Coach Bones shows me really cool exercises and methods to help me improve my mechanics that I can work on at home”. Our son especially loves his lessons from Coach Bones because he can tell that Coach Bones loves baseball and really loves teaching it. He is constantly sharing with us how great of a coach he is because Coach Bones encourages our son to do his best by being tough and strict yet at the same time he is fair. Our son is so thrilled that Coach Bones can perform many different baseball skills so accurately that he is able to demonstrate many different game situations and simulations and how best to react to those situations during his lessons. We are grateful that our son has a role model who teaches not only baseball skills, but the importance of hard work ethics, discipline, and teamwork – which are all requirements for success in any area of life. In summary, Coach Bones is a Super Coach and we are looking forward to many more years of lessons and seeing our son enjoying his constantly improving skills on the field. [/op_testimonial_slide][op_testimonial_slide title="Tom D" company="Dad of a Coach Bones Ballplayer" image="" button_color="#4881F5" button_text="Read story" href="" header_color="#00b7e2" background_color="" columns="1" ]My son Dylan always has a great time with Coach Bones. This fast-paced program will dive right into the key movements of the swing. Using HitTrax technology, as well as unique training methods, hitters will “subconsciously,” learn the most effective swing for driving the baseball better than they ever have before. Mapped out from the day before the first practice/tryout of the spring season, both hitters and pitchers take on a level of training guaranteed to bring results. The programs include position-specific exercises, high-speed video recording, a collection of key metrics through The Lab’s technology, and finally intense strength training. PITCHERS – Using the unique Coach Bones Throwing Program, pitchers take on a series of pitching-specific exercises that engrain the most powerful and efficient way to throw a baseball, as well as discover “Miagi-like” techniques that teach the correct releases for several different pitches. Power, movement, and control are worked on daily. HITTERS – Developing a powerful swing with very little verbal cues. Coach Bones’ hitting program attacks the key aspects of the swing using unique exercises designed to progressively build power and bat speed. 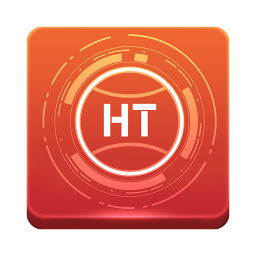 Using HitTrax technology, key metrics are collected and shared with each hitter. This ensures that every hitter knows exactly where they stand, and what steps they need to take to develop further. Patent pending technology delivers innovation to the baseball industry by measuring real-time data and displaying live results for immediate feedback. Analyze key performance metrics to identify tendencies before stepping onto the field. You’ve always been able to measure increases in strength and velocity. Now you’ve got even more to get the best results for your players: RPM’s, tilt axis, breaking motions. 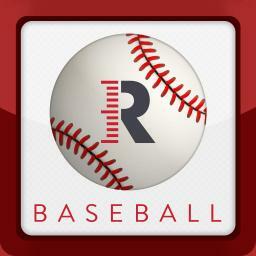 Rapsodo Baseball takes the guess work out of pitching. All 30 Major League Baseball teams use Stalker Baseball guns. 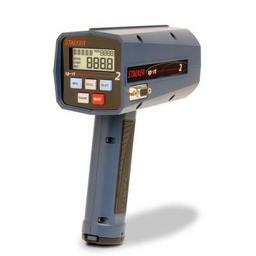 In a class of their own, Stalker Baseball guns dramatically outperform other “toy radar” guns. Simple operation, certified accuracy, greater range, true pitch speeds, and consistent readings make Stalker Baseball guns stand alone.